The Arizona Department of Health Services promotes and protects the health of Arizona’s children and adults. Its mission is to promote, protect, and improve the health and wellness of individuals and communities in Arizona. 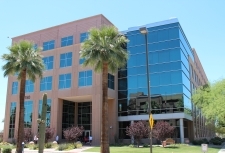 The Department operates programs in behavioral health, disease prevention and control, health promotion, community public health, environmental health, maternal and child health, emergency preparedness and regulation of childcare and assisted living centers, nursing homes, hospitals, other health care providers and emergency services.